I am seeing Mangoes everywhere. I love them and the memories of my growing up days abound. The times when I used to sit around in the backyard of my grandma's house, sucking those ripe and luscious mangoes..aah Bliss! They seem like just yesterday yet I am painfully made to aware of how long back they were. Anyways, after enjoying them, I got this baking bug with the remaining ones. 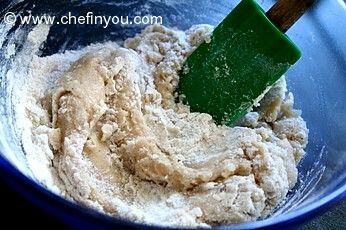 And whenever it comes to baking, my first thoughts always go to making breads first. Then comes muffins, pies, or whatever else baking fairy blesses me with! 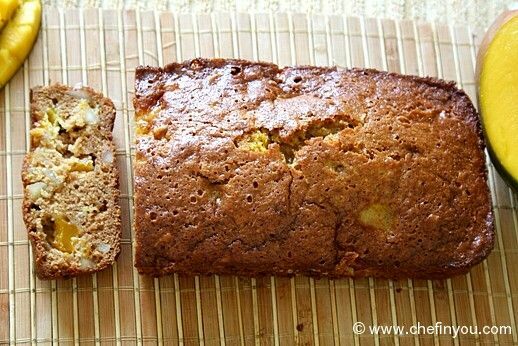 The bits of mangoes dotting the bread and the slight crunch of nuts makes this one of my favorite breads. I can't for the life of me figure out the source of this recipe. I recall noting it down from a magazine but cannot recall which one. You can easily make this eggless by increasing the qty. of oil in the recipe. If you want to cut down the additional fat, use mango puree instead. 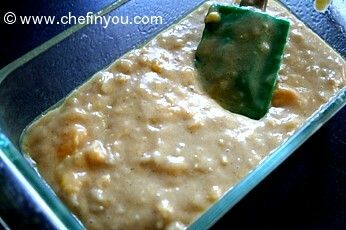 Just blend few mango pieces in a blender and use it instead of egg whites.You can use either walnuts or macadamia and since I had the latter, I used it. I also modified the recipe slightly to suit my pantry needs. 1. 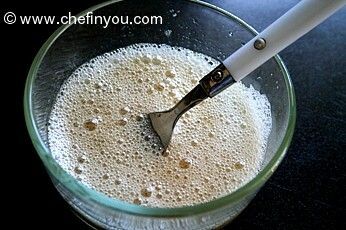 In a bowl, mix together eggs (or mango puree), oil and vanilla. 2. Next add the first five ingredients together in another large bowl. Then add the wet ingredients into dry, just until moistened. 3. 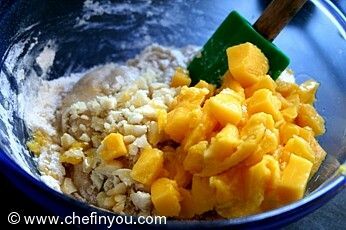 Fold in mangoes and nuts. 4. Mix it all together and spoon into a greased loaf pan. 5. Bake at 350F for 50-60 minutes or until a toothpick inserted near the center comes out clean. 6. Cool for few minutes and then turn it onto a wire rack. Let it cool down completely before cutting them into slices. The pieces of mangoes with every bite makes it not only moist but also makes it enriched with mango flavor. Delicious, moist bread is also a great start to a day! We enjoyed it not only during tea but also for breakfast the next day. 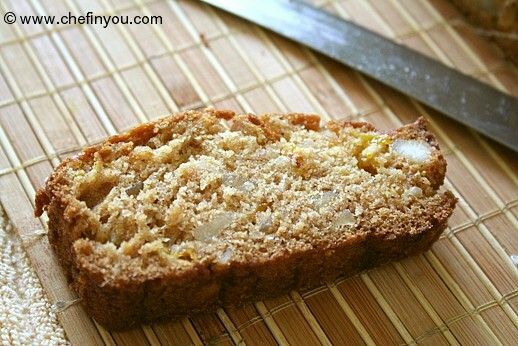 I made this Mango Nut Bread and it turned out quite good. I substituted the vegetable oil with equivalent butter and the walnuts with some dates and cashews. Simple recipe and turned out well. Love it! Have made it twice in a week! It got over THAT fast! 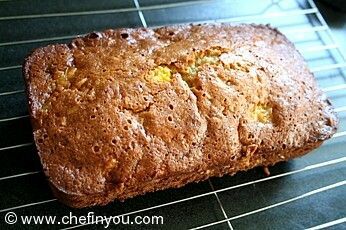 I have just put the mango bread in the oven, and it smells heavenly already. Im visiting your page for the first time and the recipes here look so yummy. Keep up the good work. 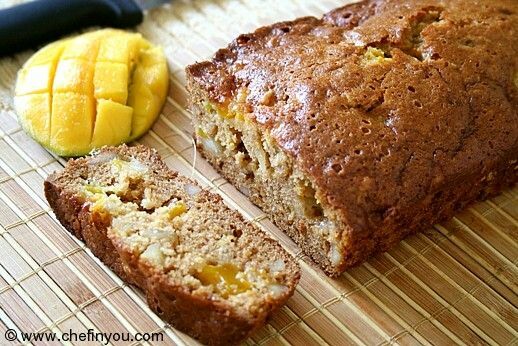 Hi there, I like the idea of baking the mango nut bread..I made mango bread today...not using ur recipe stated here..the mango bread i bake is with raisins which I think use walnuts will taste better.. my family members all love it, except my dad who said that the mango is sour..how to prevent buying sour mangoes? mine is already ripe but don't know why is just quite sour. my mangoes are thai mangoes..will try ur recipe maybe somewhere next mth cos i bake alot this month! Can you substitute frozen mango for fresh mango? Or could you suggest another recipe to use up a random bag of frozen mango that I have? Hi DK, I just made this today and we (my husband and me) loved it. This is a very simple and easy to make recipe. I just have 1 question- it was kinda difficult to cut slices at it was a little hard and crumbly on the edges... is this normal? Its a moist bread hence it wont be like a regular bread. But it was not crumbly for me. I am guessing you probably tried to slice it when it came out of the oven? Letting it rest for some time and cool helps with better slicing. Just to understand teh recipe better, the egg white can be replaced by adding an additional 1/4 cup of oil or Mango Puree. Is my understandng correct? thanks for this - it seems like a great one, assuming i manage to bake it egg free! Very nice recipe, would like to try, however was wondering if I can make it with mango puree instead of mango chunks? Have a big bowl full of mango puree sitting in my fridge. I dunno about the Oven part since I dont own an M/W oven. When trying to adapt recipes for your Oven, always make sure to read up on your manual. The temperature might be either too high or too low for your oven when adapting it to recipes from regular oven. Also make sure to check on it regularly until you know what temperature works for your oven instead of leaving it on for 15-20 minutes and then checking due to which it got burnt. Changing only almond will not cause the batter to go stiff...I am not sure why it was stiff in the first place..Did you use beaten egg whites along with oil? Hi! This looks delicious and since it is the season of mangoes, am going to try it out this evening itself. Since i am looking for healthy alternatives, wanted to ask if this would work with ragi/nachni flour or a combination of ragi/maida or any other instead of just maida/all purpose? Do you recommend something and proportions for the same? Slurrrrp! delicious. I have hit upon your site for the first time and am i glad!!! Thanks for the wonderful recipes. This weekend is baking time1 But can you help me with baking in a microwave oven. I have recently got one which a convection /top grilling oven and is supposed to be good for baking as well. But how do I interpret the baking instuctions of the regular Oven and use it for a microwave. Please help so that this weekend I can bake starting with this recipe. cant wait to! Yum yum yum and really different. Definitely on my must try list. HI DK, THis is something interesting. could u suggest option for vanilla essence bcos this days we're not getting vanilla essence in any of store so if i get any other option than i can make it. i don't want to change your receipt unless u give any option and don't want to spoil this bread. its yummy. thank you. Well, this certainly looks good. 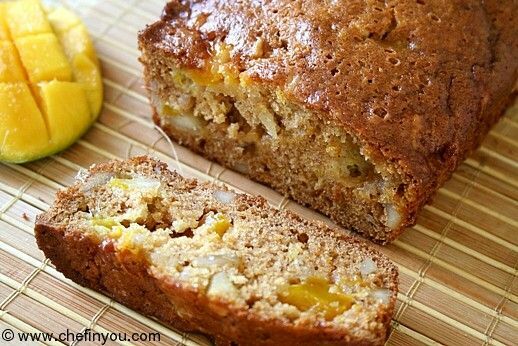 Never thot of putting mangos in a loaf but hey, it looks delicious! this is looking very yummy. can we replace egg with some 0ther thing. I have to AB style... this is seriously good eats! Amazing looking. Looks delicious even in the picture. Just wondering if you know about Energ_y Egg Replacer? 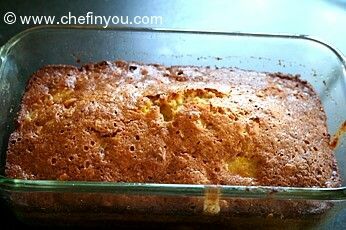 It will replace up to about three eggs in a recipe--can't use it to make a pound cake for instance but it is wonderful for cakes and breads lithe this lovely one!!! i find it in helth food stores. Bread looks super moist and awesome..fabulous.. This is serioulsy delicious!!! Bokmarked to try soon!! We do not get sweet mangoes here they look nice and yellow but weird tasting!. Can I use tinned pulp instead? It looks amazing...this is a famous bread in Hawaii and its called "Hawaiian Mango Bread".I did this last week but as a cupcake instead of loaf bread.